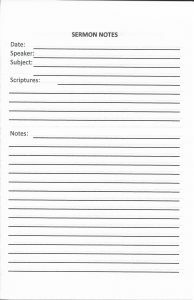 Free printable sermon notes fold-over pages. It is an Excel file. Instructions for printing included.